A study has emerged as good news for chocolate lovers. It was found in this study, involving nearly 50,000 subjects, that people who have chocolates have 22% less probability of suffering from a stroke and that if people who already suffered the stroke start having chocolates, the chances of their deaths reduced 46%. These reports will be exposed at the annual meeting of the American Academy of Neurology in Toronto. The reason for this was discovered to be that chocolates are rich in flavanoids, which is a healthy anti-oxidant, TopNews United States reports. 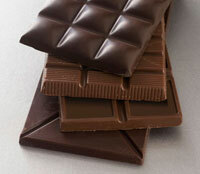 However, chocolate also contains many saturated fats and should be eaten in moderation to avoid unwanted weight gain. This study is the only one of its kind. The scientists involved in this study agree that more investigation into the subject of chocolate consumption needs to be conducted. It is necessary to determine whether chocolate actually does lower the risk of stroke, or if healthier people are more inclined to eat chocolate than less healthy people. The findings are set to be presented at the 62nd Annual American Academy of Neurology Meeting in Toronto, eFitnessNow reports. "More research is needed to determine whether chocolate truly lowers stroke risk, or whether healthier people are simply more likely to eat chocolate than others," researcher Sarah Sahib, BScCA, of McMaster University in Hamilton, Ontario, says in a news release,WebMD reports.